Shares of Palm, Inc spiked upward roughly ten percent on rumors that the new Palm Pre phone might only remain exclusively tied to Sprint for six months, suggesting availability through Verizon Wireless and AT&T as early as January 2010. The stock jump indicates good news and bad for Palm. It means that investors are hopeful that the new phone might get a wider audience sooner than expected, but also exposes fear that Palm's exclusive deal with Sprint is a significant negative for the Pre, and may have a blunting impact on its initial launch. 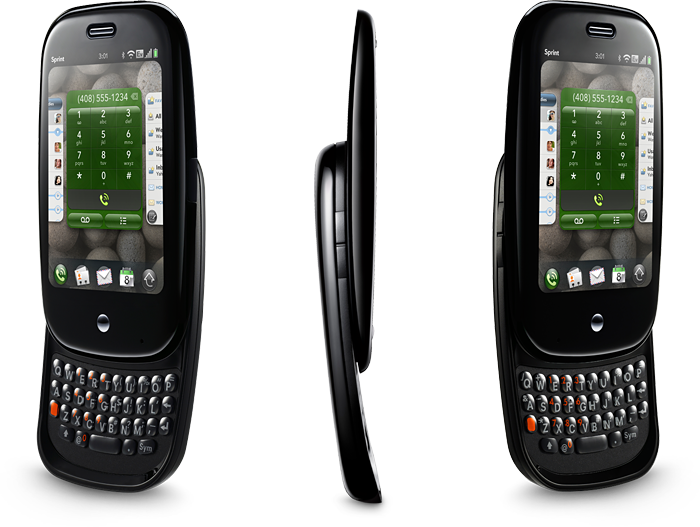 The suggestion that Verizon and AT&T would eventually ship the Palm Pre or other WebOS-based phones from Palm is nothing new; representatives of both companies have referenced plans to carry new Palm devices, just as both already carry Palm Treos. Palm desperately needs to gain traction for its new WebOS-based Pre following years of disintegration of the company's legacy Palm OS platform as the company waffled between various strategies and failed to deliver regular technology updates, allowing rivals to catch up and surpass the company's pioneering Palm Treo smartphone. In many ways, Palm's performance earlier this decade mirrored Apple's nearly lethal problems of the early 90s. Both companies once defined their respective markets, with Apple's Macintosh and Palm's Treo devices leading the industry by several years following their initial launches. Both companies then lost their lead to rivals, in large part due to their failure to keep pace with new technologies and other competitive pressures. However, the rebound strategies of both companies ended up being entirely different, despite remarkably similar problems and options available. Nearly on its deathbed, Apple rejected offers from Microsoft to adopt Windows NT in 1996 and instead acquired NeXT for an infusion of new technology and marketing strategy and began a new renaissance of technology development that capitalized on the company's tight integration of hardware and software. Palm similarly absorbed a spinoff company created by the company's founders when it acquired Handspring, just as the company began to fall into trouble. Palm then proceeded to take all of the ignored advice that pundits had offered the ailing Apple; the company bought Be, Inc., licensed Windows Mobile from Microsoft, split its hardware and software operations into two separate companies, started toying with Linux, and tried to aggressively move into the enterprise arena while also attempting to delivering ultra cheap models for consumers. It even tried to deliver a netbook device before abandoning the project as impractical. When Apple unveiled the iPhone in 2007 in a direct blow to the Treo, Palm appeared to be marked for death. The company was desperately trying to figure out how to stitch its hardware and software operations back together and had wasted too much time trying to drag ahead its legacy old versions of the Palm OS, to market newer versions rejected by developers, to incorporate Linux and BeOS technologies into its plans, and to decide what to do with the Windows Mobile versions of its phones that were confusing customers. 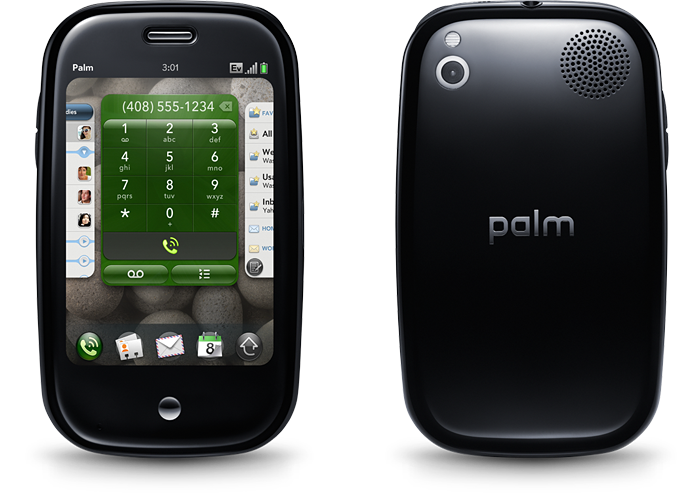 When Palm unveiled the new Pre in January 2009, commentators hailed the new product concept as a potential savior for the company. However, Palm is now in the underdog position of taking on the third generation of the wildly successful iPhone. Apple's current models are not only selling worldwide but are also exclusive to AT&T in the US, a deal Apple brokered to obtain major concessions on how its new phone would be sold. That included media and software rights for Apple that enabled the company to deliver an outstanding software platform that has drawn record attention from developers and users as the first successful mobile software market. Palm's deal with Sprint, the third largest mobile provider in the US, is a concession on Palm's end and a desperate measure for Sprint, which has seen its customers flocking to Verizon and AT&T. It also limits the Palm Pre's international launch potential, as Sprint's CDMA2000 mobile network technology is not widely available outside the US. Customers who are set on buying the Pre no matter what will either need to switch to Sprint or wait another six months without being tempted by the new flock of iPhones Apple is expected to deliver just shortly after the Pre's launch date. It also means Verizon customers interested in a popular new phone will have to sit tight for months or make due with the increasingly dated LG or RIM phones Verizon is trying to give away for free or the problematic BlackBerry Bold, which has failed to take off in its bid to stand as a substantial competitor to the iPhone. New Windows Mobile and Android phones have also hit delays that leave new product introductions slated for later this year or early 2010, meaning that the Palm Pre may hit the wider market just in time to get lost in a swarm of new product introductions well after the launch of Apple's 2009 iPhones. Even so, any news on the Pre will likely be seen as good news for Palm investors after year of hopelessness.